Catch up with all the key School Games news and offers here. We also run a number of regular features, including our monthly 'Best of the Blogs' piece, as well as interviews with key figures from in and around the School Games. For more exclusive news and offers, make sure you register with the School Games website or log in now. Over the years we have collated a number of excellent case studies from across the School Games, including examples of good practice and variations of inclusive competition which ensure that the School Games is available for all young people. You will see a number of these case studies placed around certain relevant areas of the website. However, to view the full list, please click on the button below. 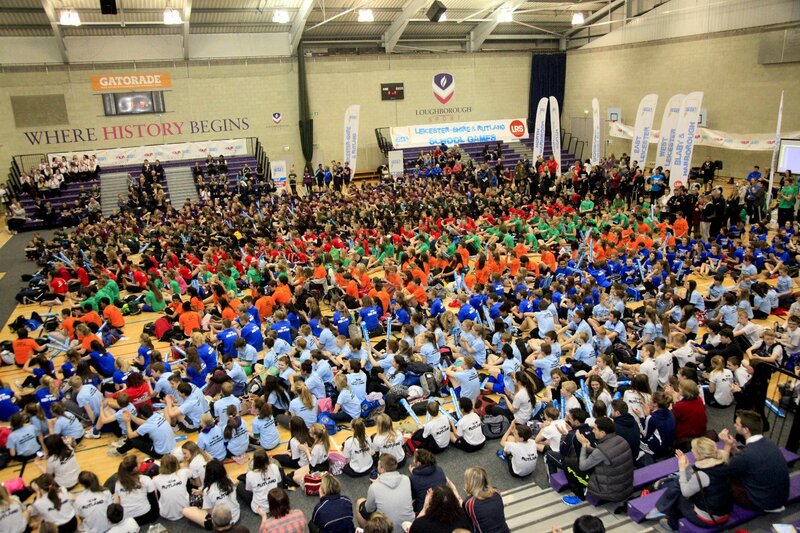 The School Games is a fun and enjoyable way of engaging all young people through school sport - either as a competitor, young leader, official, or as part of a media team, focusing on blogging and promoting sport. Sport can encourage the growth of numerous qualities within young people and we encourage teachers and event organisers to celebrate success around six key values: determination, honesty, passion, respect, self-believe and teamwork. We call this the 'Spirit of the Games'. This annual award is given to the SGO deemed to be performing best across the full SGO tasklist over a 12 month period. This annual award is given to someone who in their first 18 months as an SGO has made a significant contribution to the School Games. This annual award is the culmination of the termly SGO Innovation awards where each of the winners is put forward for the accolade of a National SGO Award. This annual award is given to the best performing Local Organising Committee (LOC) over the last 12 months. This award is given to the best performing National Governing Body of Sport (NGB) over the last 12 months. Do you want to find out what your local school has been up to? Use the 'find your school' search bar below to locate any school in the country. Search by school name or postcode and hear from them directly - see which sport events they have attended, read the blogs they have submitted, and check out their School Games Mark record. If you're a teacher at a school and want to get involved - find your school using the same search and then use the buttons provided to request an account. Then you too will be able to get involved, customise your school profile page, and show off about your achievements. Not satisfied with that? Signing up puts you in direct contact with your local School Games Organiser (SGO). Request for your school to attend inter-school events being organised in your area and submit your School Games Mark. On top of all that, you can access our comprehensive resource library full of everything you need to make your school sport provision right for you. So what are you waiting for? Get involved now and start making an impact! It's no secret that preparing for Summer exams is tough, particularly for 14-16 year-olds, with pressure to revise in and out of school. #take10 uses sport and physical activity to give students a 10 minute break from brain drain. It's a small ask, giving young people a reason to be active. Exercise boosts endorphins, giving young people a mental break with physical impact. The campaign encouraging short exercise breaks for young people takes place in June 2018 so look out for the hashtag on our social media channels and consider taking part for the chance to win some great prizes.